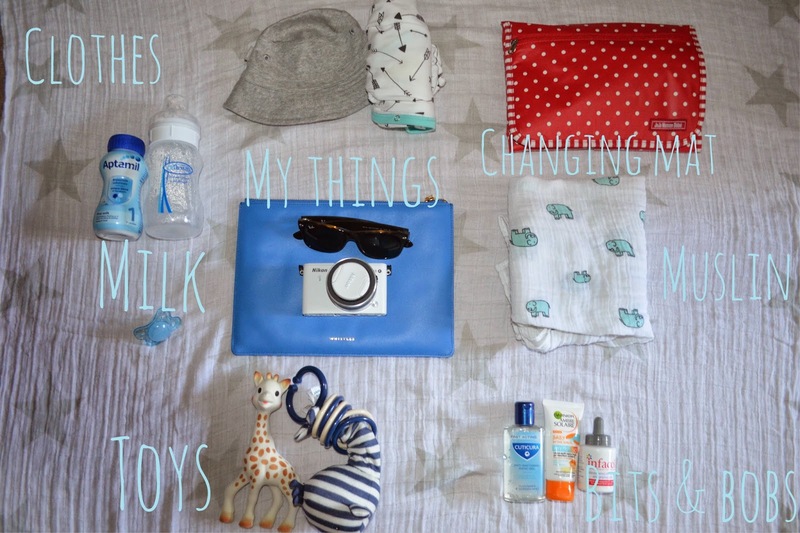 Here’s a look at what’s in my changing bag or should I say Max’s bag, he’s only a month old and he needs so much for when we’re out and about! Max sometimes gets a bit ratty when we’re out and needs help soothing so I also have a dummy to hand, he enjoys the Mam ones. Then there’s his Aden + Anais muslin which I use for pretty much everything from wiping his milky mouth to wrapping him up so he’s nice and toasty if it’s cold outside. These muslin’s are great quality and come in a pack of 3 with really cute jungle animal prints. Sanitiser is a MUST when handling a newborn baby, because washing your hands isn’t always possible. I also have suncream for those extra sunny days, but to be honest we’re mainly in the shade but I pack a bottle just in case. Then there’s his infacol which I give him right before he has his bottle to help with his wind, that and along with his Dr Brown bottles make sure he’s free from wind and a happy baby. Even though Max is still really young to appreciate toys I tend to pack a couple of his favourites (or what I think he likes). His Jellycat Walter the Whale and Sophie the Girafe. 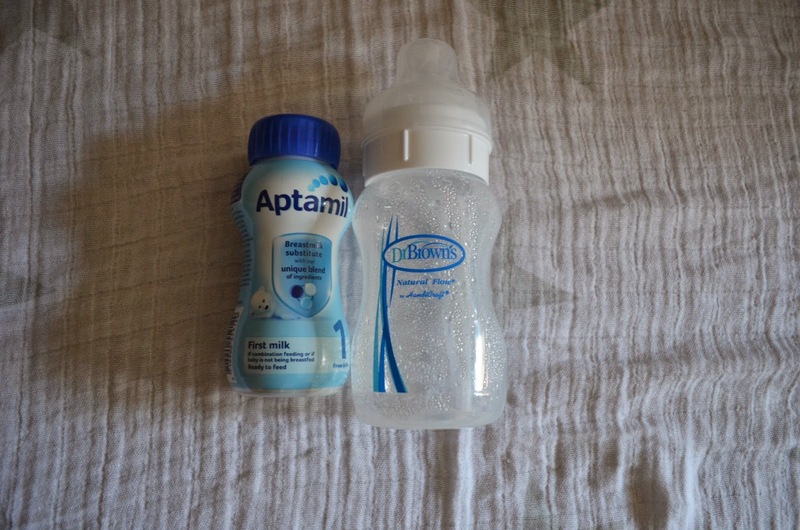 He also needs to be fed when we’re out and I tend to take pre made formula with a sterilised Dr Browns bottle because it’s easier and less fiddly. The pre made stuff is expensive to keep purchasing but I’d rather pay as it’s less hassle when you have a screaming baby to contend with. 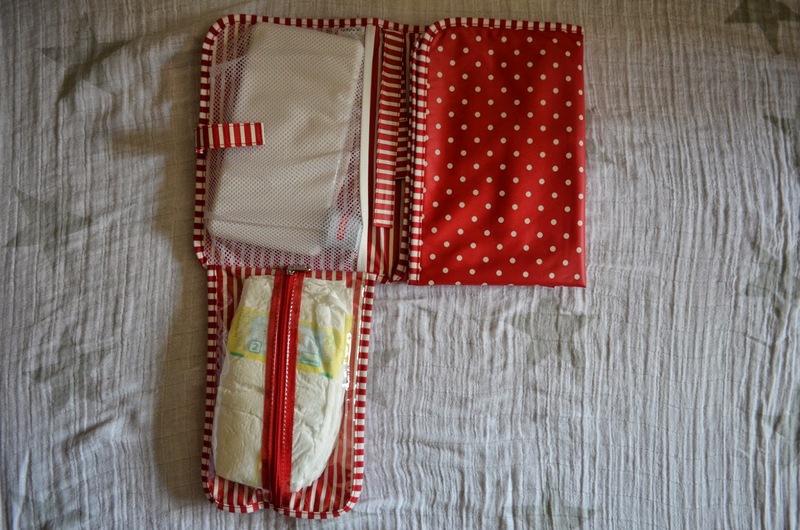 This has been my best buy so far, it’s a changing mat with two compartments for Max’s nappies, wipes and mini sudocrem. It works wonders when because you can just grab the pouch then head straight to the toilets without having to faff around. I bought this from Jojo Maman Bebe for around £8. All of my bits and bobs tend to hide away in my Whistles clutch for ease of knowing where everything is, the OCD in me means I need everything in order. I love love love Whistles clutches because there high quality and have tons of space for all my bits which include my purse, camera, sunnies, make up the list goes on..
And finally here’s the beauty itself, my gorgeous Storksak Bobby changing bag. 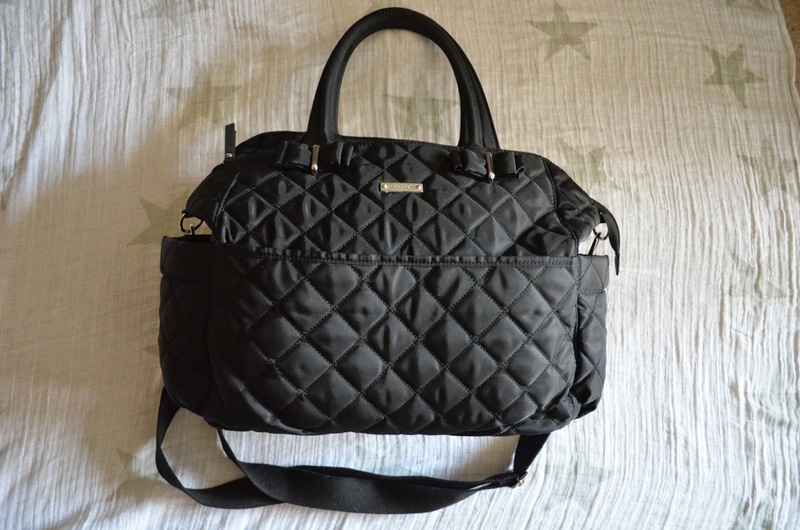 This bag has ample amounts of space for all of our things plus more! It’s also a stunner too and looks fab on my bugaboo. What do you have in your changing bag?